Embrace freedom and calm. 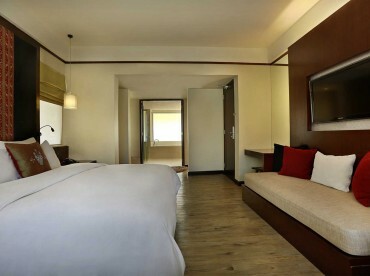 Our Deluxe Terrace King room is spacious and mixes modern decor, ergonomic comfort and total relaxation. Rooms are fully appointed including outdoor terrace to ensure memorable holiday. 1 King bed and 1 day bed. Baby cot available upon request.